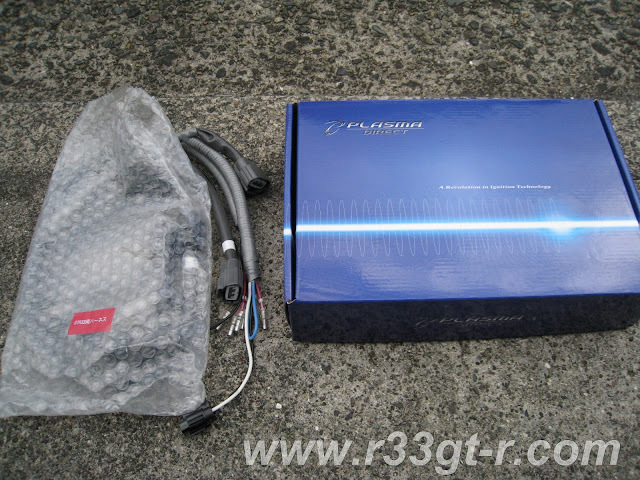 The Okada Projects PlasmaDirects - described as a replacement for the stock coils, but with increased performance, as described here on the Okada Projects USA website and specifically for the R32/R33 GT-Rs, here on the dedicated Okada Projects (Japan) website. For the R33 and R32 GT-Rs, as the amplifiers are contained within each of the Okada coils themselves, the PlasmaDirects, in addition to having more spark energy and multiple spark discharge, also do away with the transistor unit, which, being susceptible to early degradation due to the heat of the engine, is often a cause of ignition problems. 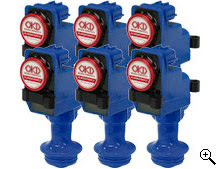 The Okada product itself seems similar to the direct ignition coils sold by Splitfire, which are priced less. Much less. While normally that would be an attractive proposition, I had heard and read about problems associated with this brand. And so, having spent LOTS of money for the Mine’s engine, there was no way I was going to risk being cheap this time. Research on the Okadas revealed either glowing reviews (all in Japan with GT-Rs) or “blah too expensive, not much difference” write ups on English language forums (for various other vehicles). But in any case, no reports of problems associated with the part. So, having also asked around (and as my friend Thomas Mangum installed a set without any apparent problems), I decided that the next step would be these PlasmaDirects. Especially as he claims to run NO catalytic converter, yet his exhaust is not as “stinky” as mine! For 1-3, normally upon acceleration, needed additional fuel is injected into the cylinders, resulting in a high concentrate of fuel, but not all of it can be burned during acceleration and this unburnt fuel is can be seen as black smoke expelled from the exhaust. With more efficient combustion due to the PlasmaDirects, there is an increase in combustion pressure, which leads to quicker onset of boost, and faster acceleration. As there is now more combustion pressure, there will be a change in the exhaust note. Anyway so that is the theory. Just how different the standard PlasmaDirects are, compared to this Jing-R version, will probably be difficult to determine, unless someone has driven the same car back to back with both versions. I found that for the price difference, and given all the glowing reviews I found on Minkara about the Jing-R version, that I would take a chance and go with this version - figure any little bit extra to help, right? So anyway, had a few spare hours today, and the weather was right, so went down to the garage and did the install - but not before taking the car for one last spin to provide a baseline for comparison. Stay tuned, my next write up will be on the install process, and then my impressions afterwards after I took the car for a spin. Well first GM coils are hard to find here in Japan. Second I like to stick to tried and true. 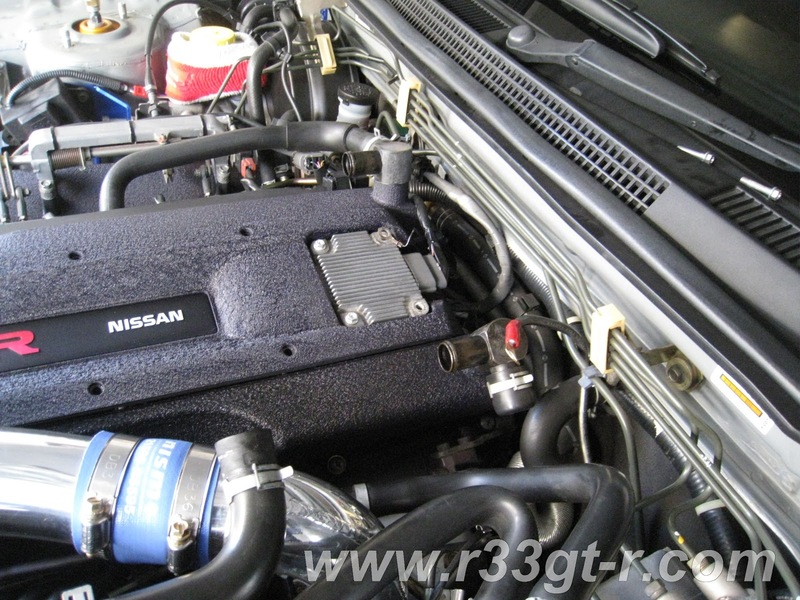 Third, if in using GM coils you have problems with the cover on, then I would be worried that those coils are not conducive to RB26 use, at least from a heat perspective?